Successfully Added Bluetooth Headphones - Dual-Mode Bluetooth, 80mAh, 10m Bluetooth Range, Build-In Mic, Smart Response to your Shopping Cart. MMCX Audio Detachable Cable 】2 in1 modes,1 MMCX Replaceable Cable,1 Wireless Bluetooth Headphone Cable. The detachable connectors let you replace cord easily and prolong the use of the earphones. 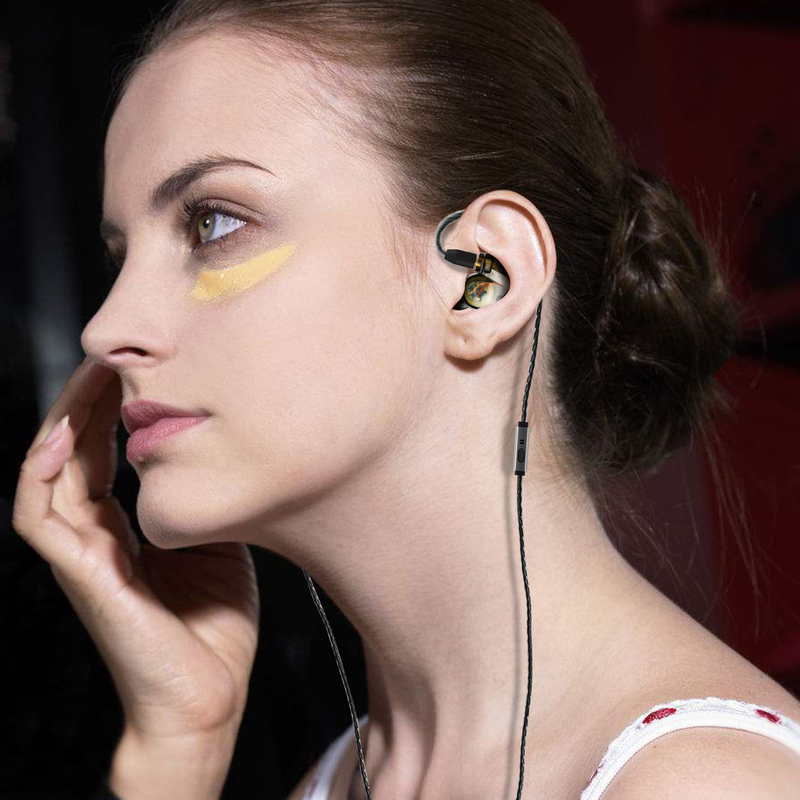 -Engineered for real-world reliability with detachable, replaceable cables and a sweat-resistant design, adopt a translucent color earpiece giving a remarkable impression. -Designed based on the internal structure of the ear, comfortably fits perfectly. In addition, the wire holding the degree of bending provides a reliable and comfortable fit. -Using the latest Bluetooth 4.1 version, you can connect to Bluetooth compatible music devices such as smartphones, tablets etc. more easily and quickly. In-ear sports earbud headphones are designed for runners and gym-goers, providing a locked-in, comfortable, noise-isolating fit for any activity while delivering clear and dynamic sound. -The gold-plated MMCX connector rotates 360 degrees, which contributes to the comfortable wearing feeling.